Often times relationships start out positively, with each person putting their best foot forward. But what happens all to often is that as time goes on, real life seeps into the relationship and problems arise, it becomes difficult to be our best. But what I believe helps us to succeed in our relationships in spite of problems and difficulties, is continuing to commit to growth. We often enter relationships with expectations, sometimes unhealthy, about relationships and what we want from our partners. We can form idealistic expectations about relationships from media and this then impacts our happiness, making us feel more frustrated and disappointed while choosing a partner. Or we observe the relationships our parents had, and knowingly or not, attempt to replicate it. The problem with this is if our parents displayed unhealthy behaviors, replicating these behaviors in our relationship will set us up for failure. In addition to forming unhealthy or idealistic expectations, most people tend to carry around some emotional baggage. This could be from childhood trauma, unaddressed issues with our parents or other family members, or from past partners. These past experiences have shaped our views of relationships and may have caused us to develop thoughts and/or behaviors that are not helpful for sustaining a relationship. Such as: lack of trust, difficulty being vulnerable, fear of rejection, poor communication skills, anger problems, etc. When you combine the unhealthy expectations with emotional baggage, you’re bound to have some problems in a relationship. This doesn’t even account for problems in relationships that come from outside influences like, family, unemployment, money, health issues and stress. 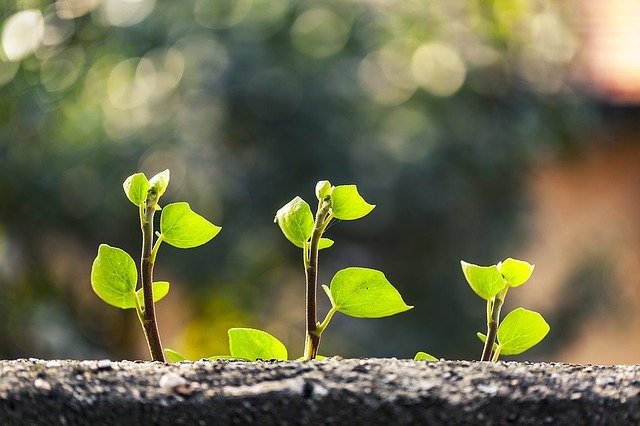 In order, not only to sustain in a relationship but to grow during both internal and external problems, partners must have a commitment to growth. By addressing the issues and committing to solving them, this can help to strengthen the connection and the foundation of the relationship. People change. Which is good. We can’t stay stagnant. You shouldn’t be the same person you were last year. So when there’s change in either the person or the environment,or something else impacts the relationship, each partner must maintain the mindset that they can grow and adapt to the change. That when a problems arises they will learn how to tackle it. That when a partner becomes unemployed, they will figure out together how to budget until they’re employed again. Or when there’s an issue with the in-laws, they figure out together what their united position will be. The key, I believe, to healthy relationships is that we commit to growing and being our best selves. That we take a look at where we are today, who we are as a person, the skills we have, our character, and aim to be even better next year. And the year after that. And that we commit to solving or learning how to best solve problems that will inevitable arise in our relationships.